Go back to 1985 and his (pre-Royal) Scottish National Orchestra recording of Prokofiev’s Sixth Symphony for Chandos, and you’re confronted by his musicianship at its very finest (and, indeed, by Chandos’s classy production values). The string lines have intensity and punch, but they also have a flexibility that feels like it’s being moulded in the moment by the conductor: there’s a powerful tensile strength to the playing that feels so right for this, Prokofiev’s greatest symphony. As Robert Layton wrote as the recording took our Orchestral Award in 1985, ‘An orchestra of the second rank playing with total zest can often be more thrilling than a luxury one coasting along on automatic pilot.’ (It was a comment that, apart from stirring up much indignation from north of the border, had a prescience about how the industry would evolve over the next decade: soon ‘orchestras of the second rank’ – and third, fourth and fifth – would, in tandem with the loss of the super-maestros, close the gap with the greatest because of their commitment, appetite and passion for the rare.) Neeme Järvi would become a key player in this Brave New World, championing the rare and unknown and not just turning in decent run-throughs but delivering proper performances (an up-and-coming conductor recently asked me if it was true that Neeme Järvi could open a score and, more or less at first sight, give a proper reading. I suspect the answer is ‘Yes’!). 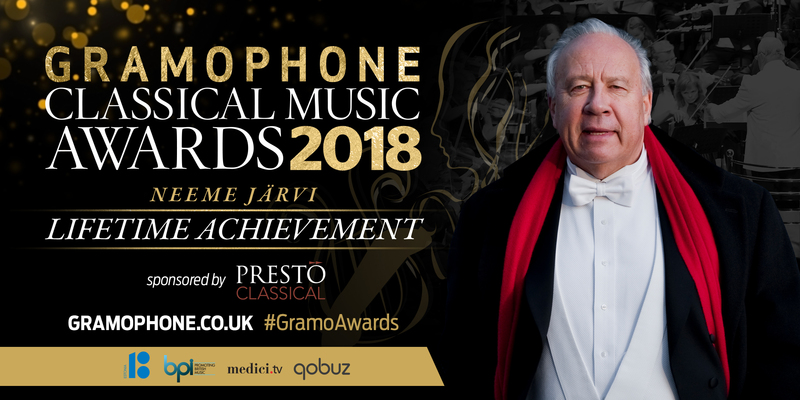 At 81 Neeme Järvi remains an inspiration. Orchestras love working with him because he brings out the best in every player. Young musicians love him because he knows his craft completely; not for nothing did he learn his trade in Leningrad, watching and absorbing the artistry of conductors like Rabinovich, Sanderling and Mravinsky. To his two conducting sons, Paavo and Kristjan, he is the father any budding musician must dream of. His impact on music, and music on record, is unique.